Negative SEO is something no business wants to have to deal with. It’s not fun, it damages your site in search engines, and can be time-consuming to clean up. However, as the web continues to grow negative SEO is becoming a much more regular occurrence. Many sites that haven’t done anything wrong are now getting hit. This even includes Kinsta! Today we are going to walk you through how we cleaned up an attack on our site along with how to submit a disavow file. It’s always good to periodically check and monitor your backlink profile, otherwise, you could end up with a manual action from Google against your site. And then you’ll really be in panic mode! When it comes to negative SEO, you can’t always prevent it, so it’s recommended to utilize the great tools out there to know when you should take action. Kissmetrics defines negative SEO as the practice of using black hat and unethical techniques to sabotage a competitor’s rankings in search engines. However, it is important to understand the negative SEO isn’t always intentional. Nowadays there are link farms, private blog networks, thousands of bots scraping sites, and all sorts of things that generate links. And sometimes, unfortunately, your site might simply get lumped in together with someone else. If we look at the past 24 months in Google trends we can see that “negative SEO” seems to be growing. This isn’t going anywhere anytime soon so it’s important to understand why it happens and how to protect your site. And probably one of the worst kinds is someone hacking your site and injecting it with thousands of viagra and pharmaceutical terms. Below is what one marketer woke up to one morning. This is also known as on-site negative SEO. It’s important to realize that negative SEO isn’t just offsite. If Google sees a link farm coming from your IP or site, you can also get penalized. Negative SEO is also a lot more public than it used to be. A while back it was simply something internet marketers talked with each other about amongst themselves. 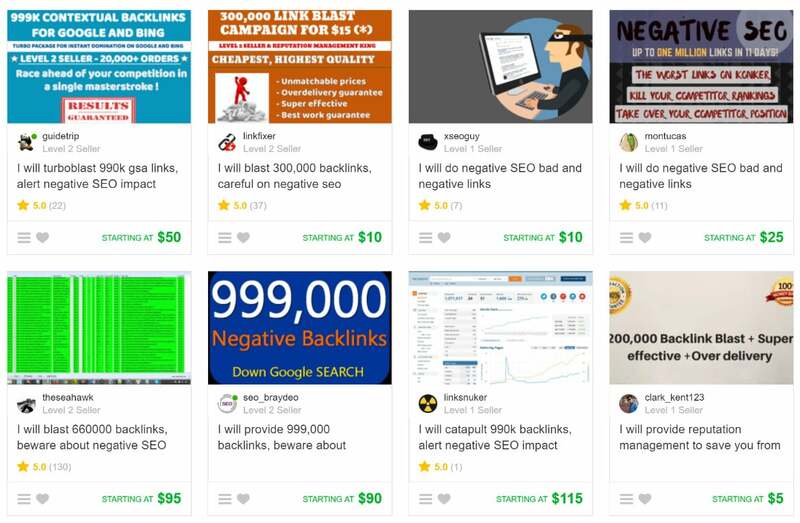 But now you can even go on popular sites like Fiverr, search for “negative SEO,” and a bunch of gigs (as seen below) to perform negative SEO on your competitors will show up. Or you can easily browse black hat forums and hire someone to start building bad links against whoever you choose. Unfortunately, services like those above now make it super easy for your site to get targeted by your competitors. That is why you always need to stay vigilant! 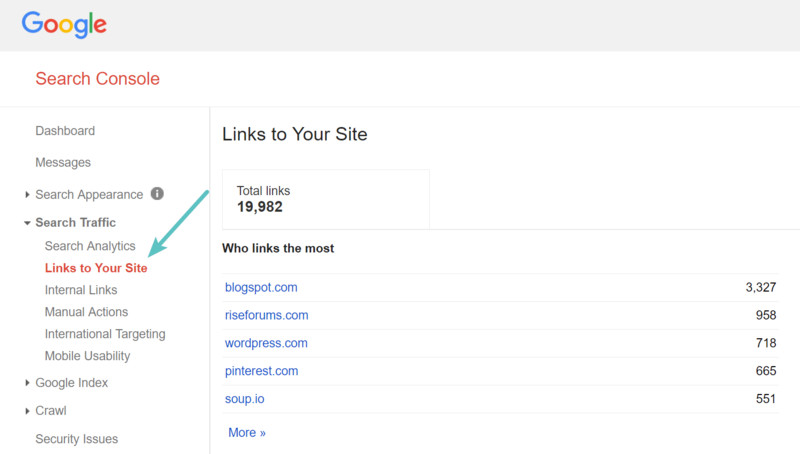 So you might be wondering, how can you check your backlinks? Well, that is where a backlink tool comes in. There are hundreds of different tools out there that provide different forms of this data, but we will share a couple that we recommend and use, both free and premium. To be honest, there aren’t that many good free backlink tools out there. The reason is that it takes a lot of processing power to grab, filter, and deliver data. Some sites have millions of backlinks. This is why you probably won’t be satisfied with many of the free tools. However, there are a couple worth mentioning. Many people don’t realize this, but Google actually provides backlink data for free in Google Search Console. If you click on “Links to Your Site” under search traffic you can access your links. A couple downsides though to using GSC is that it doesn’t have any additional attributes about the links, such as if it is dofollow or nofollow, anchor text, etc. And the data is not that easily filterable. In most cases, you will have to export it to Excel and this can start becoming quite time-consuming. But you can’t argue with free, and Google’s crawling data is pretty accurate. 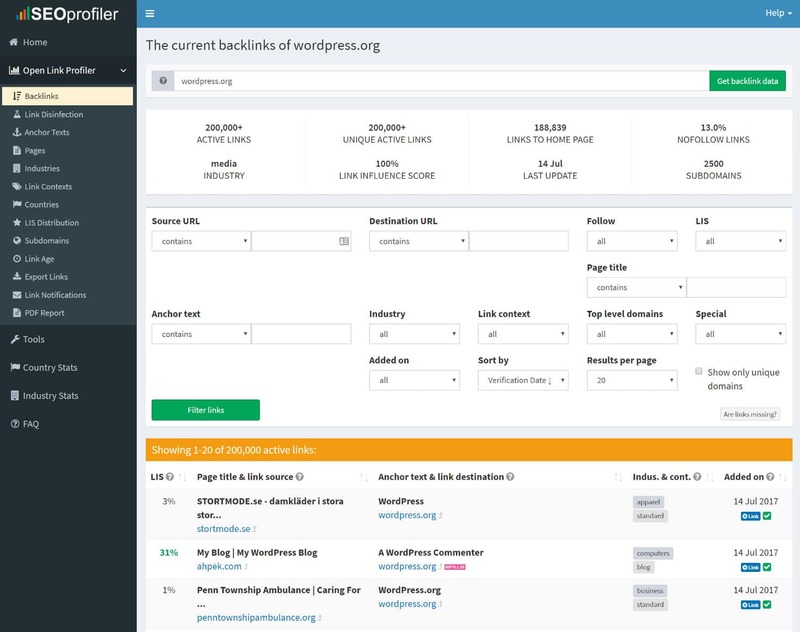 The other free backlink tool we recommend checking out is the Open Link Profiler from the team at SEOprofiler. This allows you to view up to 200,000 active backlinks, which for a lot of you might be enough. Out of the free backlink tools on the web, this probably gives you the most data. However, the one limitation here is that you can only export 1,000 links at time with the free account. If you need to dig deeper into your data, filter it, and export it, your best option is to invest in a premium backlink tool. We recommend doing backlink audits at least every 3 to 6 months. Or if you are obsessed with data like we are, every week. The larger the site, the more frequent you probably need to check it as there will be more links constantly coming in. Sometimes in these cases the longer you wait, the more time you will have to set aside later to audit. 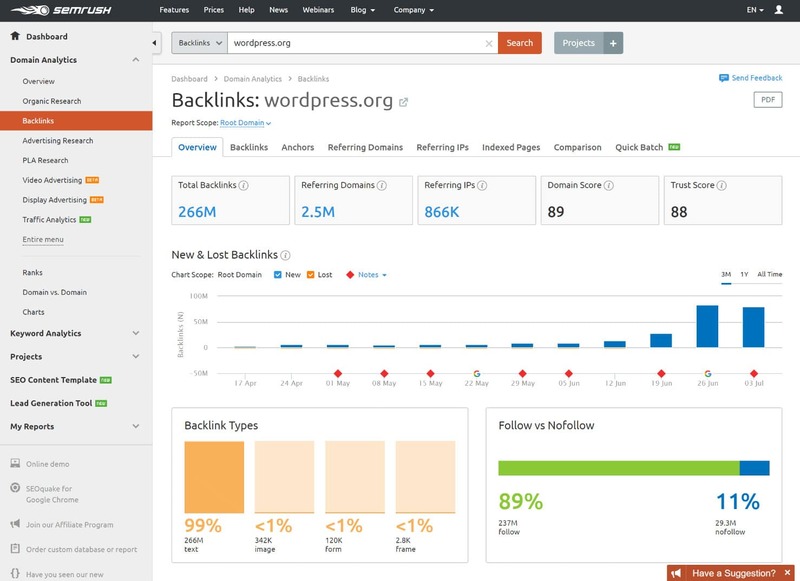 Below are a couple premium backlink tools we recommend. 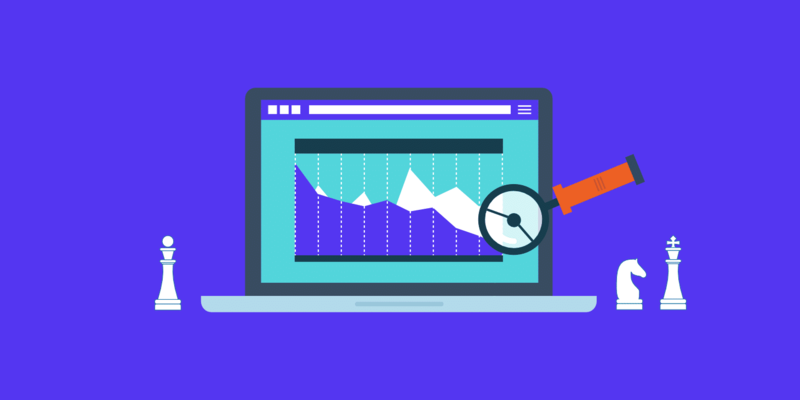 We utilize Ahrefs here at Kinsta, which is an SEO tool that you can use to do keyword research, perform a competitor analysis, monitor backlinks and much more. It has one of the largest databases on the web and we rely on its data for a lot of things. They also have a pretty awesome blog if you are into marketing and SEO related topics. 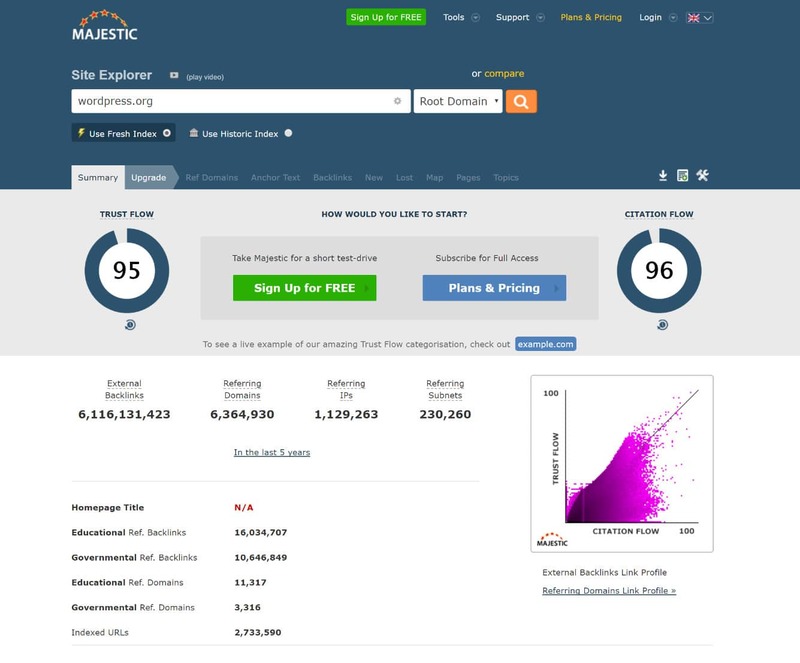 Just like Ahrefs, Majestic also has a very large database of backlinks. In fact, these two tools have been battling it out for years to see who could provide more data. You can’t really go wrong with either tool. 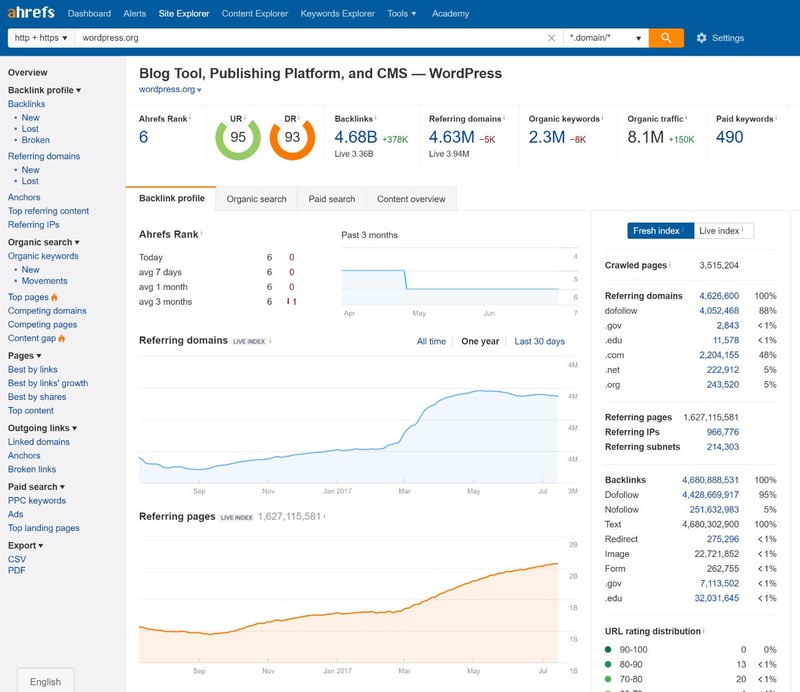 Moz is an all-in-one SEO tool for digital marketers and agencies. 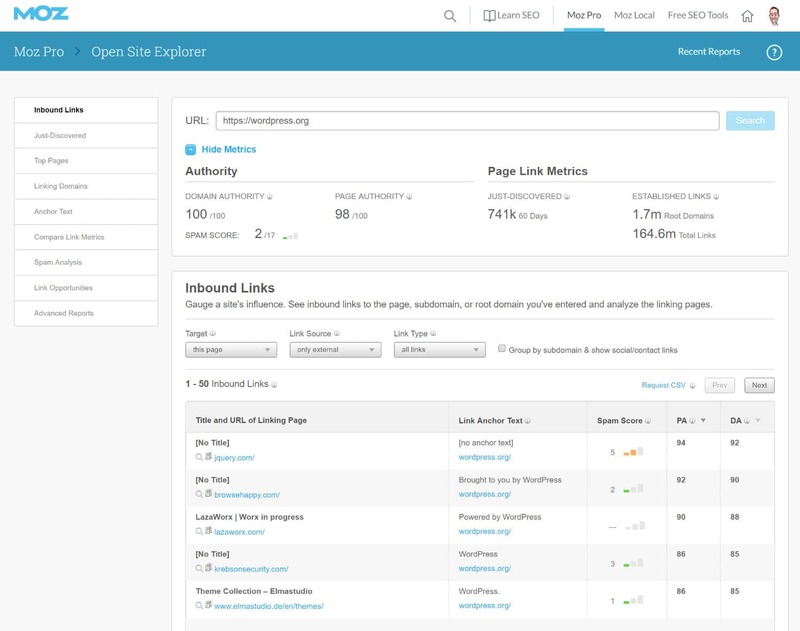 They have a tool called Open Site Explorer which gives you access to a lot of backlink data, similar to the tools above. 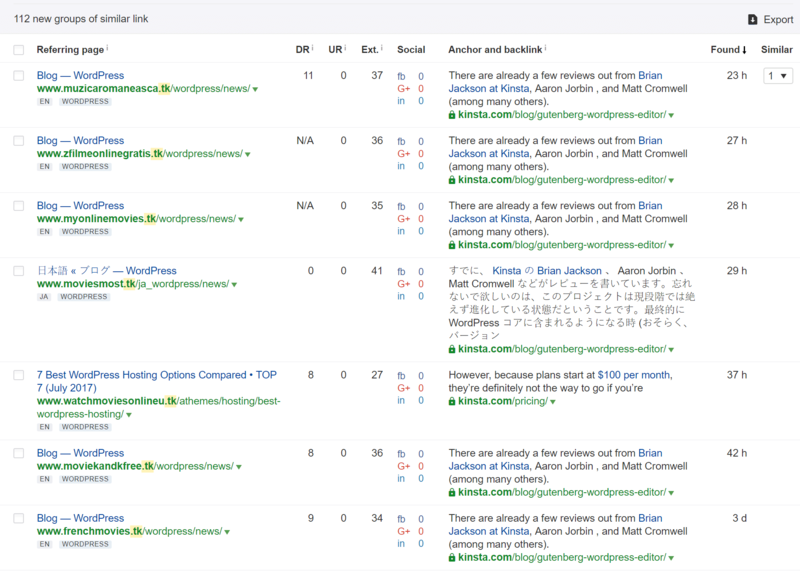 For beginners, the Moz tool might be the better way to go, as they present data in a very easy to understand format. They are also popular for creating what a lot of marketers refer to as “domain authority.” Google still uses PageRank behind the scenes, but no longer publishes or updates it. So a lot of marketers have looked at Moz for domain authority for comparing sites. And lastly, SEMrush is an all-in-one competitive data and analytics tool for digital marketing professionals. It doesn’t have the robust backlink databases that the above tools have, but they are constantly improving on it. Definitely, one to check out. We also use SEMrush at Kinsta to research new blog post ideas and strategically make data-driven decisions for our inbound marketing. This tool allows us to easily see things such as search volume for a keyword or topic as well as how competitive that keyword is. As some of you may know, Google changed their Keyword Planner Tool a while back and now close variant keywords show up as having the same search volume. SEMrush collects their search volume from a number of different sources, as well as their own database, and so this allows them to still provide you with accurate search volume. Can’t afford a monthly subscription? One option you could do is sign up for a 30 day period, export the data, and then cancel it. You can then dig through it yourself in Excel and crunch the data as you see fit. Then simply subscribe again periodically to export the data. We review a couple of more SEO tools and plugins in this post. Most negative SEO attacks are usually pretty easy to spot. They usually all have some type of pattern. A couple weeks ago we started seeing hundreds of spammy links coming in. They were all on different .tk domains (as seen below), were dofollow links, and were all pointing at the same article on our blog. An easy way to investigate a link is to simply click on it. However, just a fair warning, sometimes you could run into malware doing this. 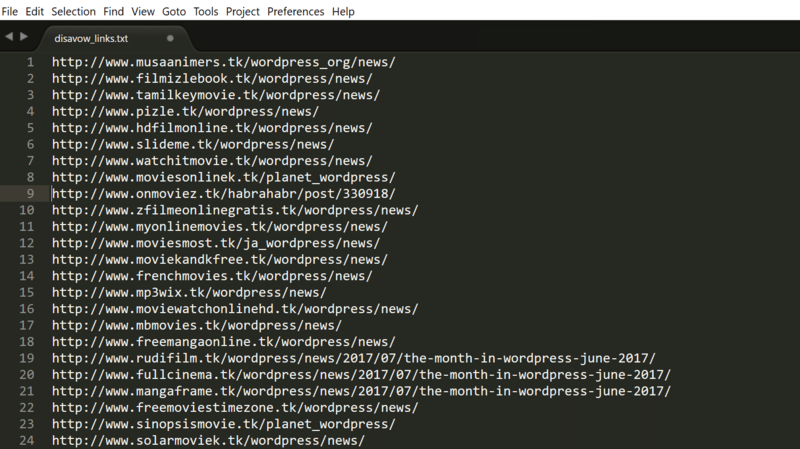 However, upon further investigation, it appeared that all these sites were automated RSS posts scraping the content from a WordPress.org post in which they had linked to us (see post: The Month in WordPress: June 2017). So basically what had happened is that because WordPress.org is so popular, there are hundreds of sites scraping it and redistributing the content. For large sites, this is not that unusual. However, the problem is that all of these spammy sites now have dofollow links pointing against Kinsta. So even though it appears it might not be intentional, we were caught up in a massive scraping war, which is still a form of negative SEO. 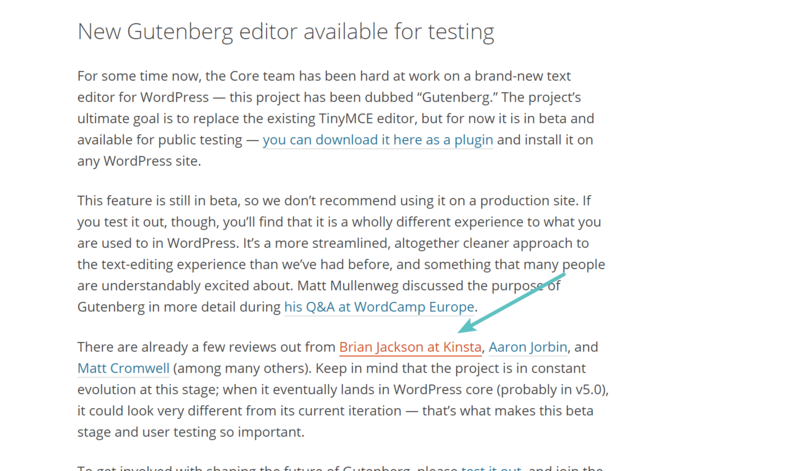 Others linked on the official WordPress.org post will have the same problem, such as Matt Cromwell and Aaron Jorbin. There are times when content like this disappears in which case you don’t need to worry about it. Google’s algorithm usually can determine scraping sites from spammy links farms. But that is not a risk we like to gamble on. And this is one of the reasons why Google created their disavow tool. 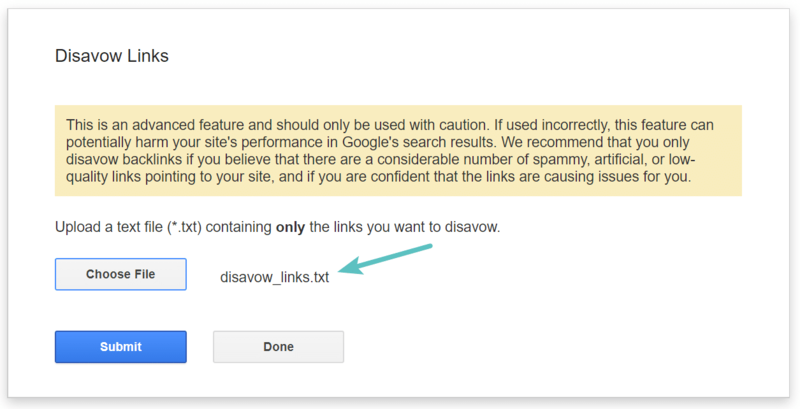 The disavow tool essentially allows you to submit a list of links to Google which tells them they should be ignored. This was created by Google back in 2012 for the very purpose of fighting negative SEO and preventing people from being able to harm others. Follow the steps below on how to use Ahrefs to clean up an attack and submit a disavow file to Google. Note: We are using actual data in this example from an attack on kinsta.com. The steps, of course, may vary slightly based on the nature of your own links, but the strategy is the same. 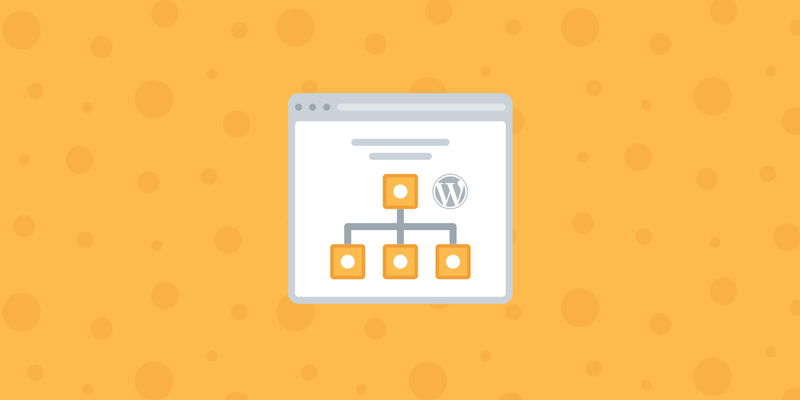 Assuming you know the pattern already, the first thing you will want to do is filter your links. So click on “New” under backlinks. 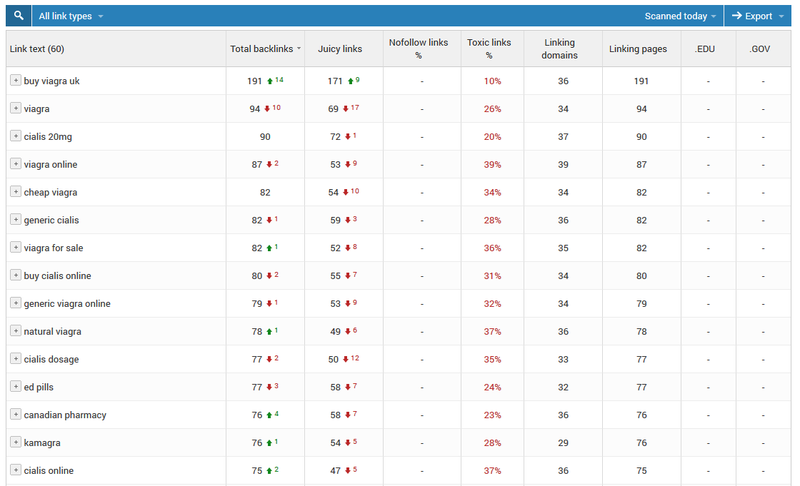 Then click on “Live index.” This allows you to see only links that are active. Then filter it by the spammy links. This, of course, will vary based upon the nature of your SEO attack. In our case, we put in .tk as all the spammy domains contained this. And select “60” days from the drop-down. Depending on how many links there are you might want to expand it to show more per page. In our case, there were over 100 so we had to do this a couple times. Then check the top left box to select all the links on the page and click on “Disavow URLs.” You could also disavow the entire domain if you wanted, but we only recommend doing that as a last case scenario. What this does is create a disavow list in your Ahrefs account for you to easily access. You will then want to enable the “Hide disavowed links” at the top. We haven’t submitted the disavow file yet, but we will down below. Ahrefs doesn’t submit the disavow links to Google for you, they simply create the list. However, this is one area where paying for a premium backlink tool comes in handy. By hiding them we can analyze our backlink profile again without having to see these anymore, as we know they are safely being ignored by Google. If you are using a free tool you will have to keep track of this on your own, which could be a mess. Check the option to “Save as TXT” and click OK. The disavow file requires it be in the format. If you are editing an already existing disavow file you might want to leave this unchecked if you need to combine some data in Excel first. We now have a disavow_links.txt file with all of the spammy links in it. It keeps a copy of your most recently submitted disavow file. This way in case you need to update it, you can download it again and then combine the new data for upload. And that’s it! 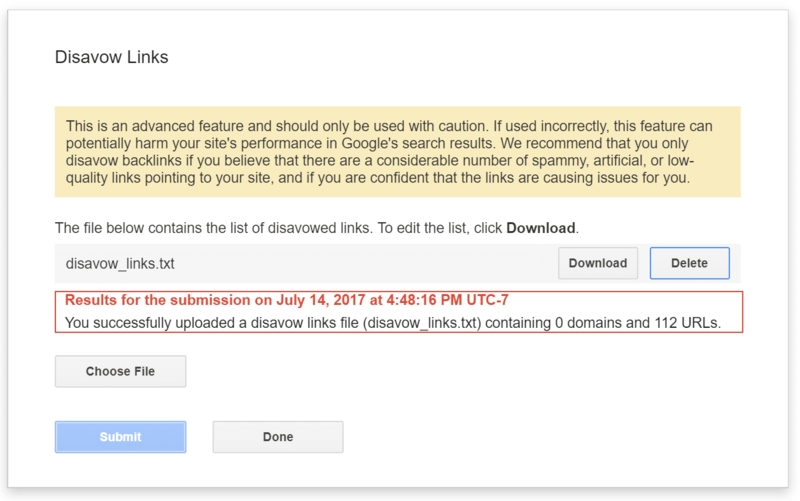 You have now submitted a disavow file and we can rest more easily knowing that Google will ignore these links. However, Google also suggests that you should still make every effort to clean up unnatural links pointing to your site. To do this we recommending checking out the rmoov tool. It basically helps automate the process of emailing site owners to ask them to remove the links. Here is a good tutorial how to use rmoov to clean up backlinks. The above was just one example and a fairly simple one to fix. However, negative SEO attacks can get very complex. We have seen sites attacked with more than 20,000 bad links at once. In which case you definitely need a couple good tools and perhaps even an SEO expert to get everything cleaned up. But the same strategy still applies, and hopefully, you now know a few tools, tricks, and steps to do this yourself. 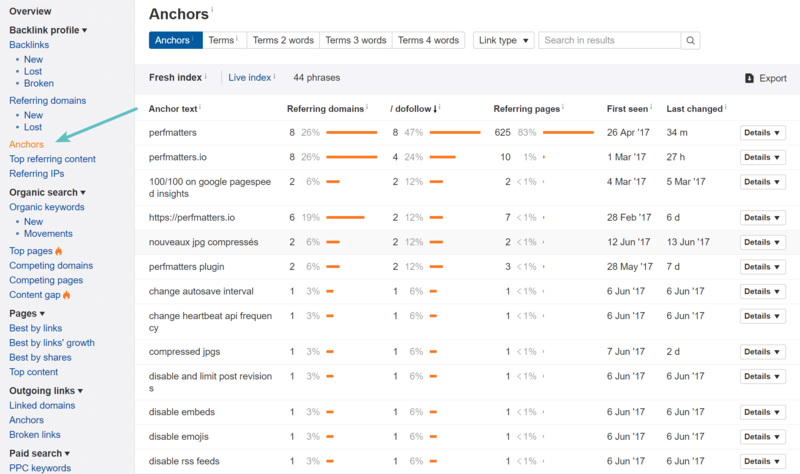 Another easy way to spot negative SEO is to take a quick look at your anchor text ratio. 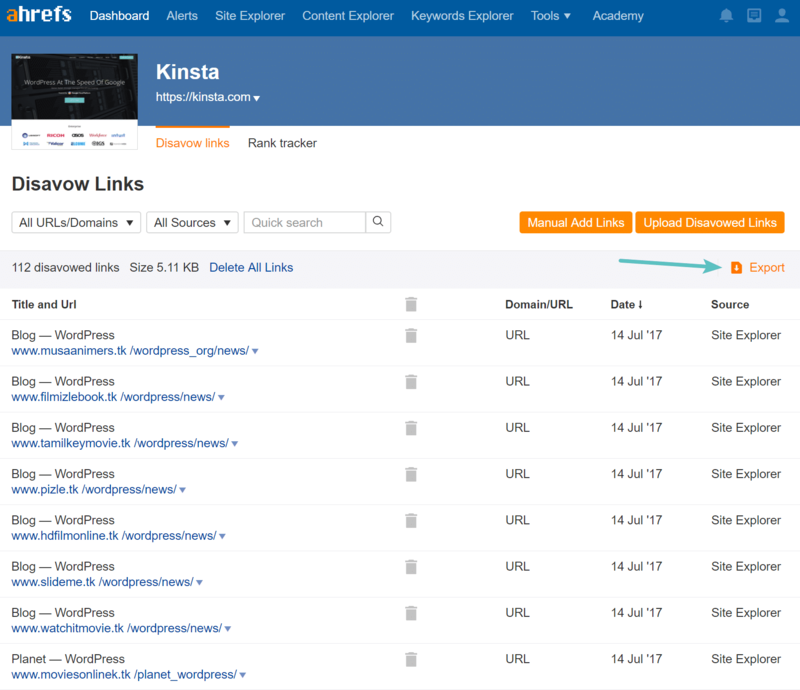 In Ahrefs you can quickly do this by clicking on “Anchors.” Anchor text is simply the text that is used in the hyperlink. 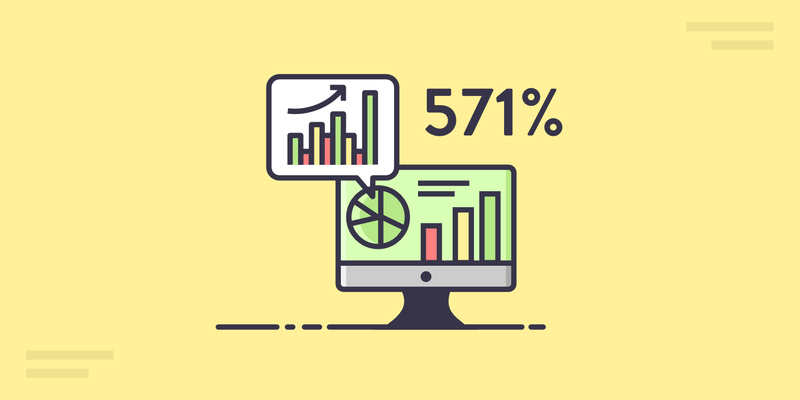 A healthy anchor text ratio will most likely contain a large majority of your branding terms and then other miscellaneous keywords to content you have written or to landing pages. If you notice a bunch of unusual anchor text terms this is probably a sign of some spammy links pointing towards you. 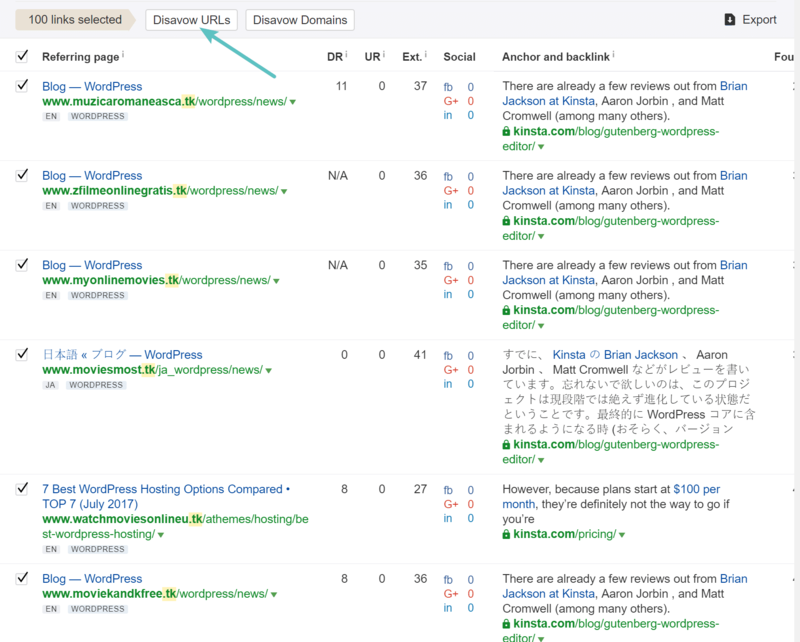 In Ahrefs you can click on “Details” to see domains and or URLs attached to the anchor text. 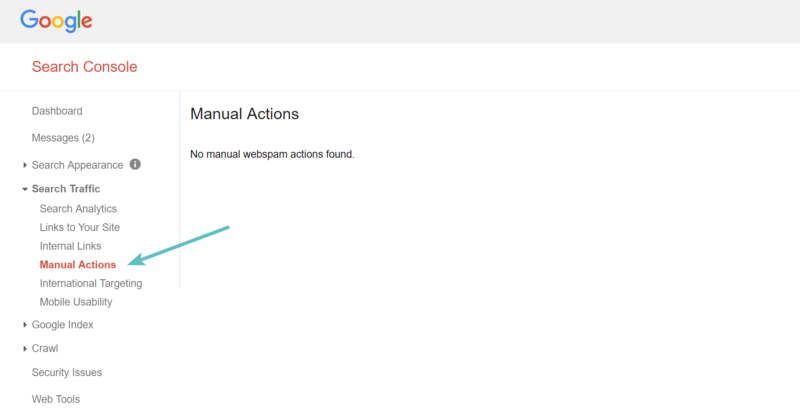 We highly recommend that you connect your site to Google Search Console and then under the “Search Console Preferences” enable email notifications. This will ensure you get any notifications from Google about spammy links on your site, broken links, increased 404 errors, etc. If your website has already had a manual action taken against it by Google you should see it show up in Google Search Console. You can then fill out a reconsideration request form. However, it is important before you do this that you clean up your site. 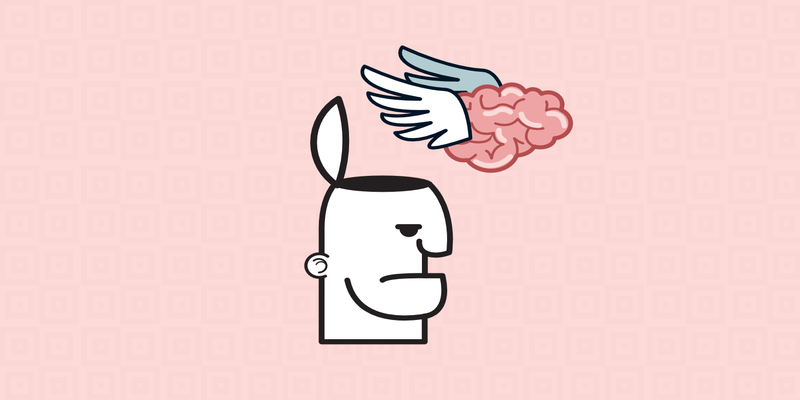 A lot of times the manual action message won’t give you a complete message of what is wrong, but it will generally point you in the right direction. Checking your backlink profile using one of the tools we mentioned above is a good place to start. Negative SEO is something nobody wants to have to deal with, but in 2018 it is a real problem that you will most likely encounter at one point. Do you really want to trust Google to sort out all the spammy links? It’s better to be safe than sorry. 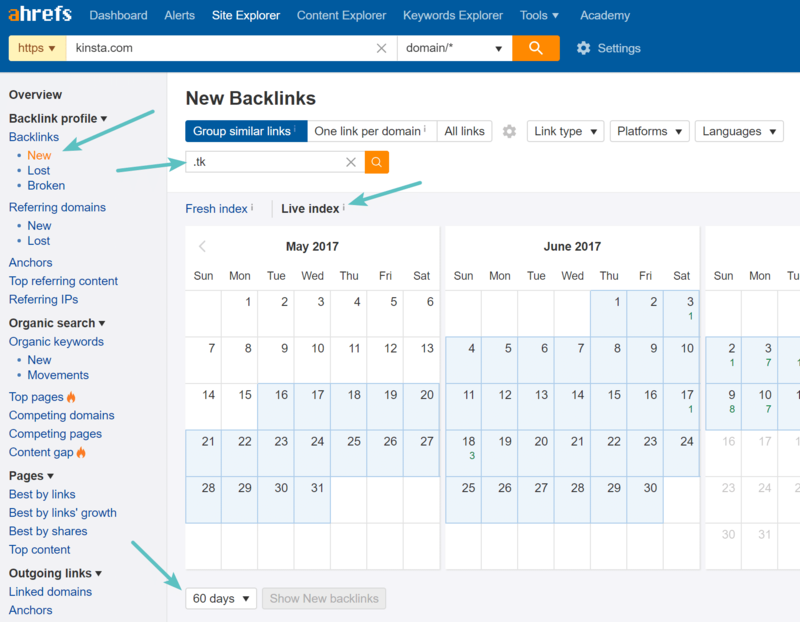 Having a good backlink checker tool such as Ahrefs can help you monitor your site and ensure that only good quality links are coming in. It can also make the process of disavowing links a lot quicker. Have you ever had a negative SEO attack? If so, what was your experience? Let us know below in the comments. Great post Brian! I know that we should remove the spammy links to play better in the search engines. Good to know that you too use the Ahrefs tool, its just awesome. I’ll check and disavow the irrelevant links. Thanks for the helpful guide to keep the negative SEO at bay! Thanks Nirmala! Yes, we love Ahrefs :) Always good to monitor your backlinks. Better to play it safe than sorry. Hi Brian, this post is great. so i want to ask, how to build backlink to our blog (new blog) for the long term, any advice ? Amazing list of tools for analyzing backlinks and negative SEO can harm your online reputation, so it is essential for websites to check for spammy backlinks and broken pages. Thanks for the useful resource. Noted few Tools. specially about rmoov to sent a bulk link removal request. Thanks Brian. It appears (from external tools) that you saw a nice traffic uptick right after submitting the file. Which is curious, considering that there is so much confusion in the Penguin 4.0 world of whether a Disavow file even matters. Many experts would argue that those links are already devalued by the algorithm and should have no effect. This post indicates that the algorithm may behave differently than we suspected. I think the uptick we saw was simply from all the other SEO work we have been doing. And you are right… there is no way to know for sure if Google already knows if the links are bad or not…. however, I never assume that Google knows anything :) I like to play it safe. Nice to know! thank you so much for the details! Thanks for the thorough walk-through, I’ll be bookmarking it! Yes, Ahrefs is awesome. We use it every day at Kinsta. Their team is constantly adding more useful features to the tool. Just within the last week, they added YouTube search volume for keywords and the ability to instantly get a report of all your *internal* backlinks.